In an industry wherein being your own marque is unusual; Aia de Leon, Barbie Almalbis and Kitchie Nadal went above and beyond expectations and walked the line between marketability and artistry. Secrets is the kind of concert that makes you ask, “why hasn’t this happened already?” It’s as inevitable as saying that they’re here to stay and this concert simply echoes that. Aia, Kitchie and Barbie all came into the music scene at the same time and simultaneously dominated a generation with their voices and songwriting. And with a second round of coming up in February 2017, maybe they could be the voices of a new generation, too. Bon Iver's incredibly heart-wrenching performance was already a given—Justin Vernon's live singing voice is thrice as powerful than on record, and when he sang "Woods" and "Skinny Love" solo, armed only with a looper and then his acoustic guitar respectively, the raw emotion cut through like a heavy blunt knife straight to the audience's heart. What made the set even more captivating, though, had not been listed in the posters or press releases. Touring with Bon Iver and gracing the Iver and gracing the Wanderland stage with them were English folk trio, The Staves, who sounded as though they were angels sent from harmony heaven. We felt completely floored every time they sang, and if Vernon's vocals provided the tight clench in our chests, The Staves provided the release that let our tears flow out. 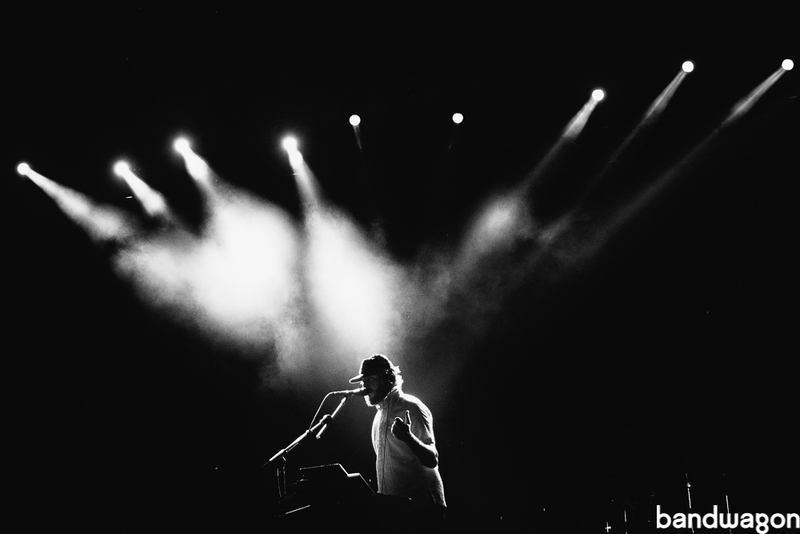 "A live performance is always more than simply the music, Bon Iver (along with The Staves) nailed that with the perfectly set waves of color and bursts of smoke-filled light. The music and sights each on their own already provide enough emotion, but together, well, it transports you straight to that cabin in the woods of Northwestern Wisconsin." 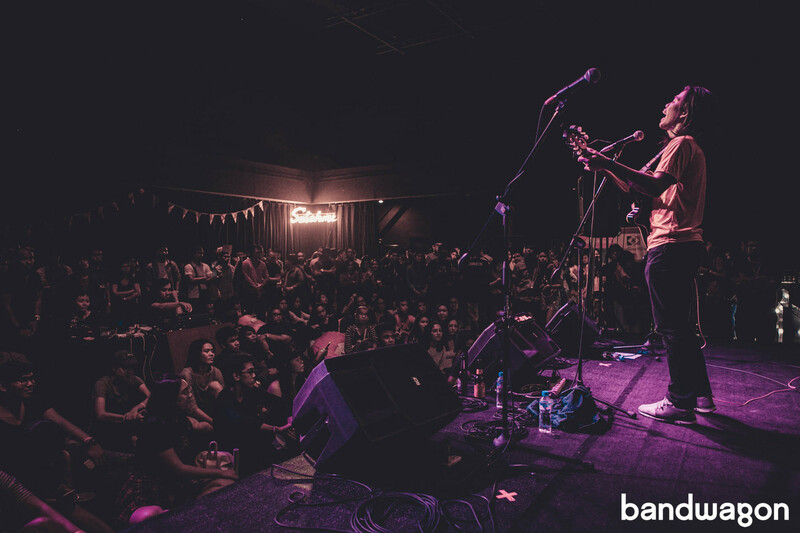 We had the privilege of having singer-songwriter Bullet Dumas at our first-ever Bandwagon Music Market in Manila. Bullet had a short set, with three songs for his performance. All three songs were in Filipino and proved how music transcends language as even our Singaporean artists and team members felt the raw emotion and message of his lyrical prose. 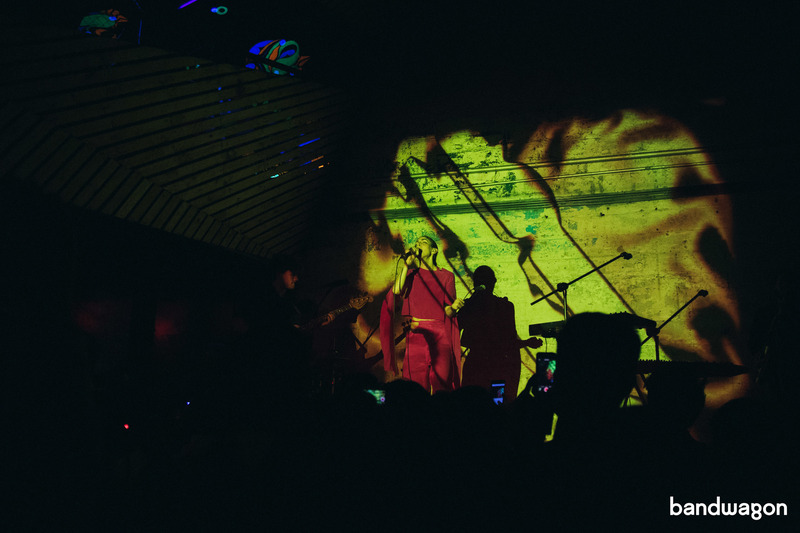 Chairlift finally graced us with their presence last December 1st, making their Manila debut with new kids on the block, The Invisible College. Little did we know how lucky we were, since the American duo recently announced their break up - making their previous show their first AND last concert in Manila. The expression on their faces was priceless as Caroline exclaimed, “You sing better than the Americans!” as she added so with how surprised she was the crowd knew the songs by heart. 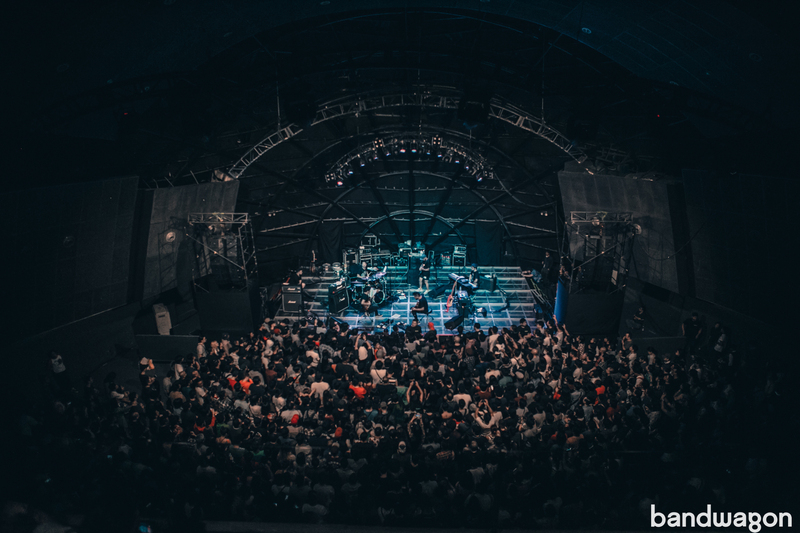 "Music Festivals are all the rage recently; we are finally at the age wherein seeing our favorite international acts aren’t far fetched ideas. 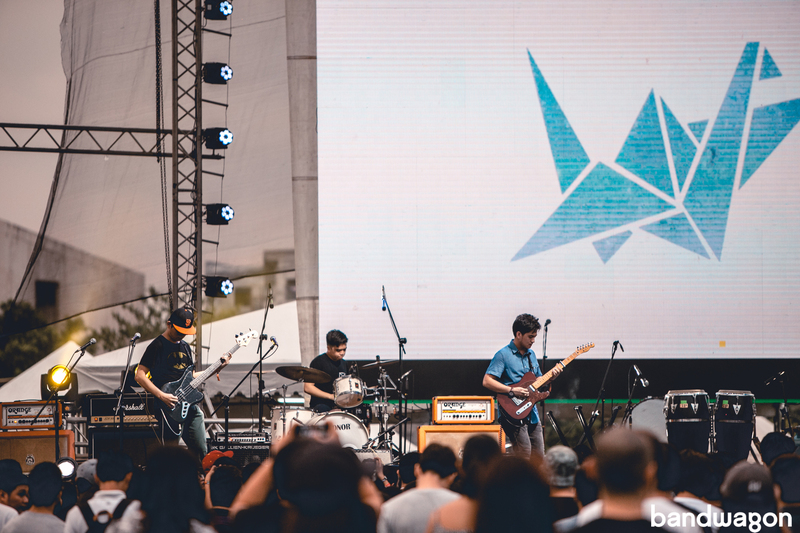 But the JD IndieFest holds itself to a standard that sets them apart from everyone: a fully Filpino line-up that cuts across all listening ears. It’s a pretty sublime thing to witness a sea of people banging out to each and every act that came on stage. There was neither a lack of artistry or audience vigor. As Jensen Gomez says during Jensen and the Flips' set, "Kaya nating punuin 'tong Circuit nang walang international act!" And contrary to what people most say, nothing is dead." A band that will always be dear to us, December Avenue was the very first Filipino act that Bandwagon brought to Singapore. We made sure not to miss their first major concert (in fact, we made it to both sold-out shows). Besides, how many indie artists get to have their own headlining shows in proper music venues these days? 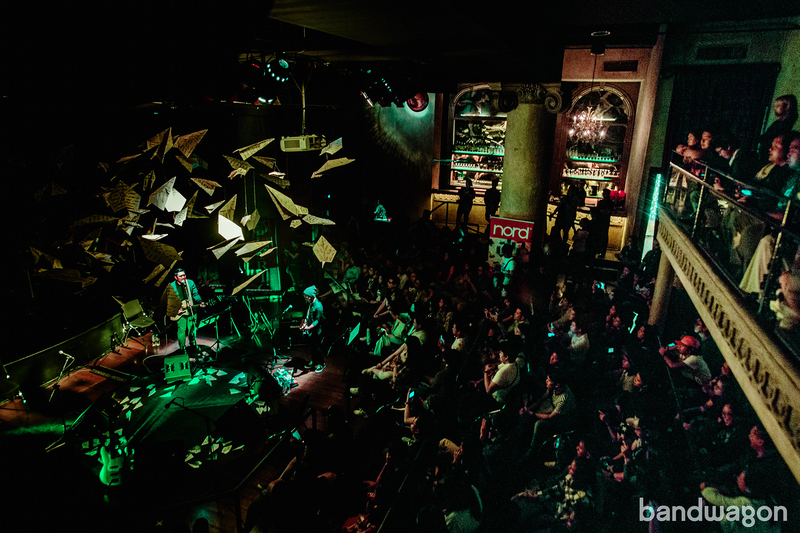 We already knew we were in for a treat the moment we saw the paper airplanes hanging from the ceiling and the unusual but very intimate stage set up for the band's concert. "December Avenue's first major concert appealed to the senses in a satisfying way: It looked good. It sounded great. Most importantly, though, it felt amazing." DAMÁ: The Repeat is a gift to 3D fans who either missed the first concert held last February or just wanted to see them perform again. 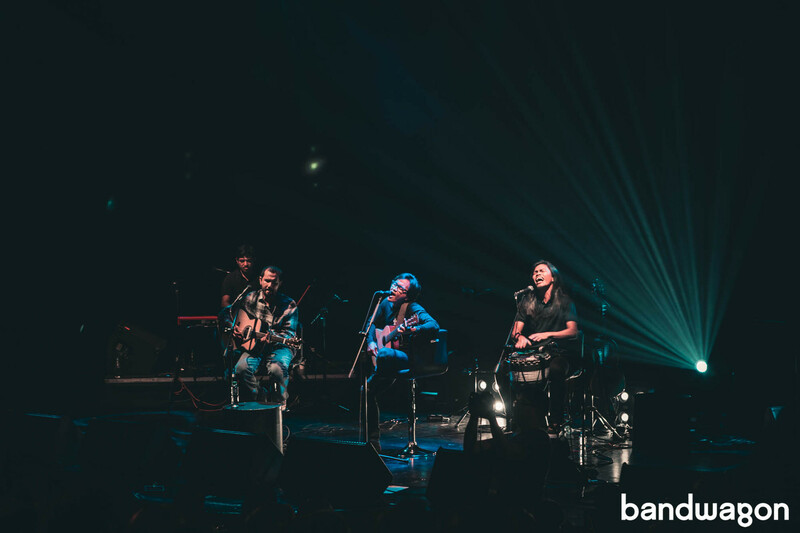 The singer-songwriter trio of Johnoy Danao, Ebe Dancel and Bullet Dumas were more than happy to oblige and the duo of Vandals on the Wall and Gabi Na Naman Productions were happy to organize a second edition of the sold-out event. "Together, the trio is beautiful. 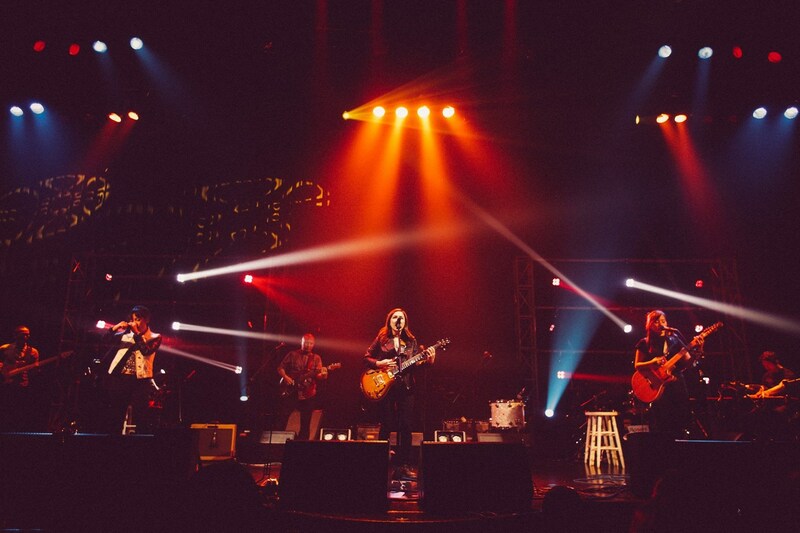 Performing the classic songs that appeal to the romantics in us, the friends-turned-tour mates show us that it wasn't just us who felt so much throughout the night: they were on the same page as us." 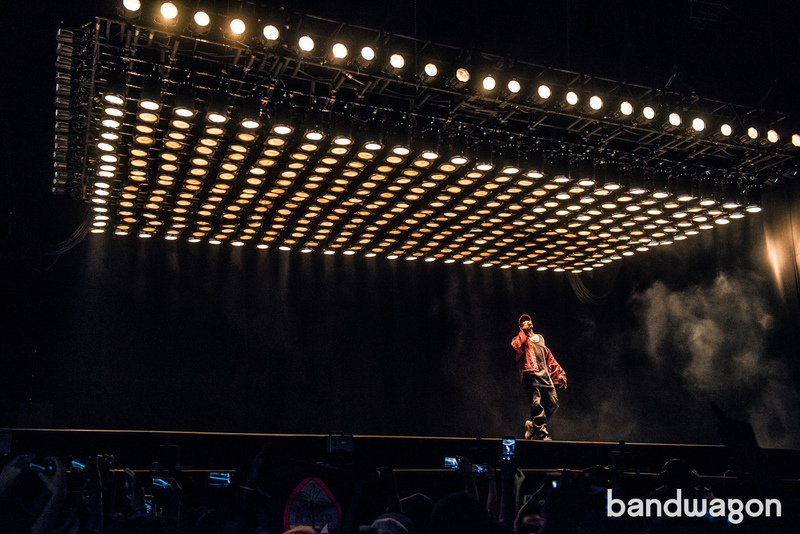 In the roster of acts that are on our wishlist, Kanye West decided that we were on his nice list for April 9th, 2016 at the first-ever Paradise International Music Festival. His 25-song performance (with 'Famous' being played 3 times in a row) blew us all away (along with all the dust at the venue, but that's another story) and left us all in awe at the sheer simplicity of his set (it was just him and all of the lights) and his complexity as an artist. ​It was not about how he started, but it was all rounded up to how he finished. Mr. West has taken all the kids to church and re-educated everyone on the blessing that is the rap god. This man is full of surprises, and being impatient about it sometimes becomes more acceptable than it should be. 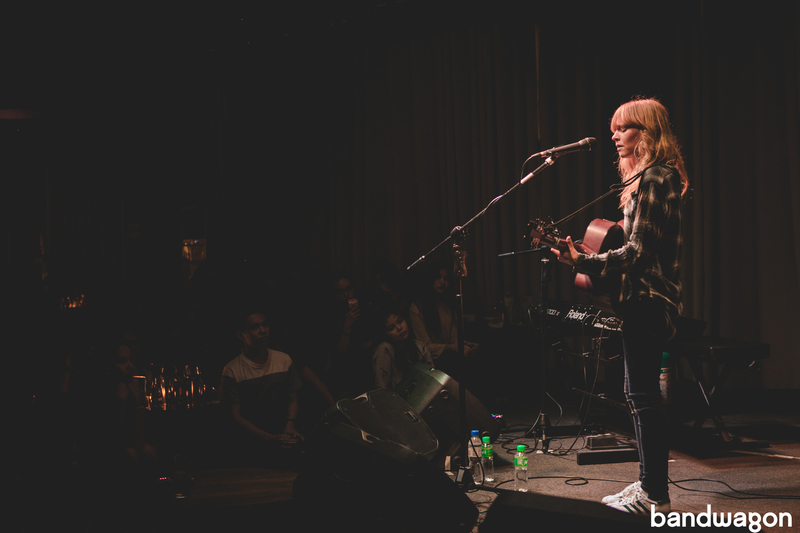 British singer-songwriter Lucy Rose was in Manila last November as part of the Southeast Asian leg of her tour in support of her 2015 album Work It Out. Performing with an acoustic guitar and an electric keyboard, the indie folk darling played as many songs as she possibly could, taking requests from the audience who were more than willing to ask (or scream) for their favorite Lucy Rose song. During her stripped-down show on a somber Monday night at 12 Monkeys Music Hall & Pub, the English singer-songwriter effortlessly transitioned from idol to friend to idol again throughout the course of her performance down to her taking time after her set to personally meet her audience one-by-one. With her easy smiles and characteristic self-deprecation, Lucy had been all unassuming charm and genuine warmth, to the absolute delight of everyone. 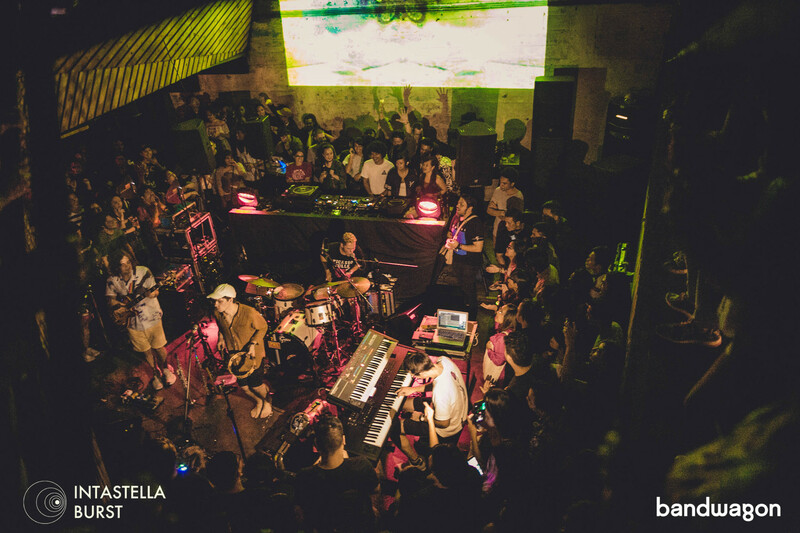 After wading through a smorgasbord of music festivals, local launches, nostalgic acts, and all the great music 2016 brought to Manila, going to a toe show had been refreshing. No drawn-out hype, no fancy prod, no barricade, no orchestrated sing-alongs, clap-alongs, “Mabuhay! Give me a heEeeEey” fluff. Just honest-to-god performers pouring their hearts out into their instruments. "Hello! Thank you for coming. Long time no see. Today is the first day of our Asian tour. We're so glad to play here. First show! ... How is my English? [applause] This kind of feeling... Thank you so much for today. Please invite us next time soon. Call me! [chuckles] It's amazing that you came all this way. I hope to see you soon."